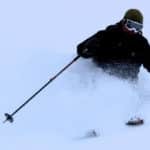 Join Josef, an IFMGA certified guide, in this 6-day off piste ski course in the beautiful village of Obertilliach, in the Austrian Alps. Join me in this 6-day off piste ski course and learn all the secrets you need to enjoy your time on the snow! We will spend a great time in Obertilliach, a gem in East Tyrol in Austria. 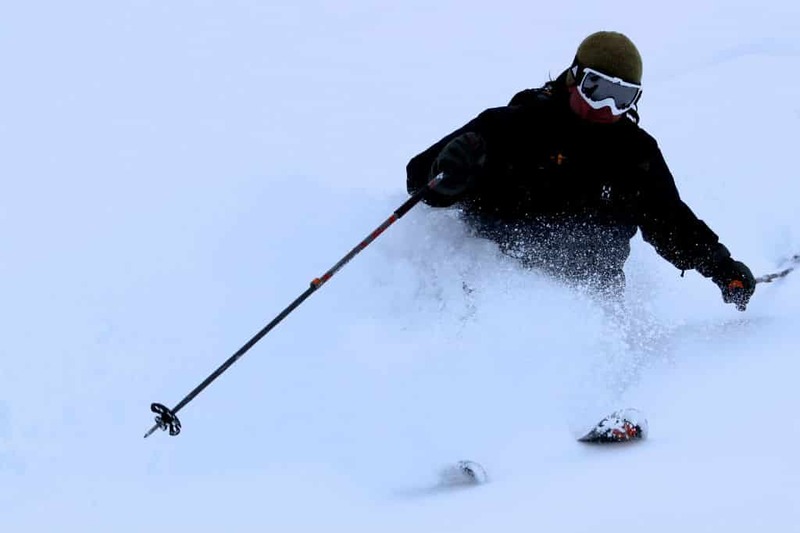 With my Piste to Powder program, you will learn how to deal with various snow conditions. Most important, I will teach you in a practical way, with different exercises and movement descriptions. Also, you will learn the right ski technique on the slopes. Then, you will put it into use directly in the terrain. My goal is that at the end of the course you are able to have fun knowing the right skiing techniques. 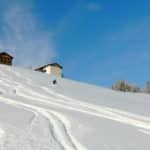 We will have up to 3 to 4 hour ski training in Obertilliach ski resort, as a preparation for the terrain. Then, the following days, we will go ski touring. Obertilliach is an idylyc village, surrounded by the peaks of the Lienz Dolomites and the Carnic Alps. It has even served as a filming location for a James Bond movie! We will stay in the comfortable Hepi Lodge. In 20 minutes we will be in the ski area. The Obertilliach ski resort it’s a great spot for your family also. 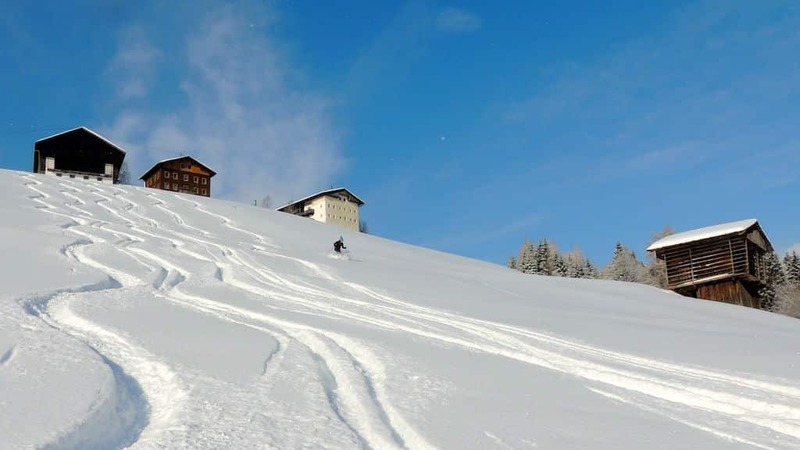 They can take ski, telemark, snowboard and Nordic ski lessons at the Obertilliach Ski School. So contact me if you want to improve your off piste skiing skills! I will answer any questions you may have about the program. We will spend a great time in Obertilliach. 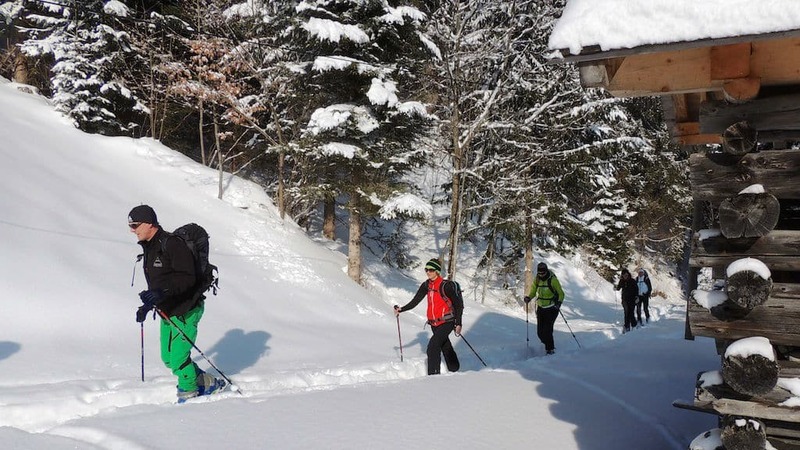 I also offer a guided ski touring weekend in Lesachtal. You can check it out! We will meet at the Hepi Lodge. Equipment check. Avalanche report and snow conditions. Ski training: 2 hours in the morning in the Obertilliach ski resort. In the afternoon, 2 hours of ski training and correctional trips. After breakfast, we will start our ski tour. It will always be adapted to the conditions. I may make changes to the planned tour depending on the current conditions at that time. After breakfast, we will start our tour. At about 3 pm we will have a coffe in the Hepi Lodge. End of program. • Modern and functional safety equipment: LVS, avalanche shovel (at best made of aluminum), avalanche probe. Safety equipment can be borrowed for a fee and on request. 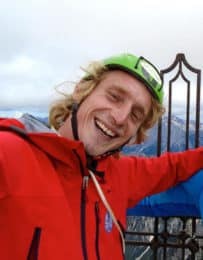 I’m a IFMGA certified mountain guide and a nature lover. I was born in 1983 and I studied Cultural and social anthropology at the Vienna University. Mountains, water, cultures have been always my passion. That’s why I’m a mountain, ski, canyoning and rafting guide, also a ski instructor and a snowboard enthusiast. Helene and myself are the owners of the Hepi lodge. A space for mountaineers, climbers, skiing enthusiasts where besides offering the accommodation service we proposed varied programmes of different activities: rock climbing, ski touring, canyoning, hiking tours. I guide most of my time in Lesachtal Valley: St Lorenzen, St Jakob, Birnbaum, Karnische Alps and Lienz Dolomites. I love guiding people from all around the world and help them discover my region and its beauties doing what they like most! Feel free to contact me to discuss about your expectations and what I can offer you. We will share a great time together! Ski Touring - 5 days - Interm. Ski Touring - 1 day - Interm. Ski Touring - 3 days - Interm.